Metamaterial - Best editorial series award from Microwave Journal Magazine, June 2015. Pioneered the first surface-mount mixer in 1985. User-Definable Low Cost, Low Phase Hits and Spectrally Pure Tunable Oscillator. The terms and provisions of this acknowledgment shall be controlling, and any objections to any term herein, including provisions which are in addition to or different from those contained in the buyer’s forms, must be in writing and shall not be deemed timely unless received by Seller within a reasonable time, which is agreed to be within ten (10) business days from the date of mailing of this Agreement. If Buyer makes timely objection to any term herein, Seller shall have the right to withdraw its acceptance of this Agreement. Buyer’s failure to object as specified will be deemed conclusive acceptance of all the terms and conditions of this acknowledgment. No acceptance by the Seller of any order shall be deemed as acceptance of any provisions of the Buyer’s purchase order form. No purchase order written or oral will modify this Agreement, including these terms and conditions, unless specifically agreed to in writing, by Synergy Microwave Corporation. The invalidity of any provision of this Agreement shall not affect the validity of any other provision. Price, terms and availability of merchandise are subject to change without notice, including and not limited to changes caused by fluctuations in market price, availability or changes beyond Seller’s reasonable control. All invoices are due and payable 30 days from the date of invoice. If in Seller’s judgement, the Buyer’s financial condition does not justify the terms of payment herein specified, Seller may require full or partial payment in advance of either production or shipment. If such payment is not made, Seller may cancel any part of the outstanding order. The prices applicable to this order do not include any allowance for federal, state, local or any other sales tax which may apply to the transactions contemplated by this order. The amounts of such taxes shall be paid by the Buyer. Shipment dates are based upon Seller’s best judgements and are subject to factory schedules and production limitations. Every possible effort will be made to assure that the scheduled delivery dates are met. Accordingly, Seller can assume no liability, consequential or otherwise, of any sort or nature, resulting from any delay caused by act of God, fire or other casualty, accident, strike, shortage of labor or materials, governmental action or other cause beyond Seller’s control. The time for Seller’s performance shall be extended by the period of any such delay. Seller reserves the right to apportion its production among its customers as it may determine. Shipments will be made via requested shipment mode. When shipment mode is not specified by the buyer, shipments will be made via U.P.S. prepaid and bill. The F.O.B. 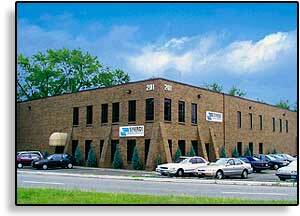 is Paterson, N.J.
SYNERGY MICROWAVE CORPORATION warrants that the components to be delivered shall, at the time of delivery, be free from defects in material and workmanship. Synergy’s obligation under this warranty is limited to the repair or replacement of the defective parts; all freight costs to and from Synergy’s plant will be paid by the buyer. This warranty shall remain in effect for the period of one year from the date of shipment. Synergy shall have no liability for special, incidental or consequential damages resulting from improper use, negligence or accident, complete or partial disassembly of the components will void this warranty. A fee to cover the analysis costs on the returned components under this warranty will be charged to the buyer if, when after examination by Synergy, the components are found to meet the specifications or have failed for reasons not covered by this warranty. No returns will be accepted by Synergy if the proper Return Authorization Number is not attained from Synergy prior to returning the damaged devices. The warranty stated herein is exclusive and in lieu of other warranties expressed or implied. Specification changes are subject to acceptance by Synergy, including price revisions and any adjustments necessary to cover material procured, processed and labor expended prior to receipt by Synergy of revised specifications. Published specifications are subject to change without notice and may be verified for correctness by contacting Synergy Microwave Corporation directly. Buyer shall have the right and shall be given the opportunity to inspect the goods at Synergy’s facility and prior to shipping, for a nominal fee and shall be so conducted as not to interfere with Synergy’s normal operations. Such inspection, must be stated in the Buyer’s acknowledgment and shall have been previously quoted in writing by Synergy. Synergy certifies that all items shall be manufactured or furnished in accordance with the applicable requirements of the Fair Labor Standards Act of 1938, as amended. Buyer shall not in any event be entitled to, and Synergy shall not be liable for indirect, special, incidental or consequential damages of any nature, including and not limited to loss of profit, promotional or manufacturing expenses, overhead, injury to reputation or loss of customers. Buyer’s recovery from Seller, for any claim shall not exceed Buyer’s purchase price for the products, irrespective of the nature of the claim, whether in contract, tort, warranty or otherwise. If litigation is brought to enforce any rights created hereby, the prevailing party shall be entitled to attorney’s fees and cost. All rights and obligations shall be governed by the law of the state of New Jersey, United States of America. Buyer may cancel orders by written notification, provided that the agreed upon price of all products which are completed, manufactured, and allocable to this order, at the time of receipt of such notice of cancellation is paid to Synergy. The Buyer will also pay Synergy for all costs direct or indirect, which have been incurred by Synergy for products that have not been completely manufactured at the time of receipt of cancellation. Wherever possible and to minimize such costs, Synergy will attempt to divert completed parts or work-in-process from cancelled orders to complete other orders. Orders for custom parts are non-cancellable, unless agreed to by Synergy. Design complex RF and Microwave components, circuits, systems, and printed circuit boards, utilizing design software tools such as CAE and CAD. Devote a significant portion of time in developing necessary electrical engineering system and testing and analyzing its acquisition system performance. Design and develop phase locked loop circuits and synthesizers and VCO’s (voltage controlled oscillators). Research and design fractional-N fast-switching synthesizers, write test software and procedures for the test equipment to test the fractional-N synthesizers. Utilize personal initiative, maintain both formal and informal technical training, and focus on developing the next test equipment generation based on the latest available electrical technologies. Possess proficient electrical engineering and/or electronic engineering skills along with a body of highly-specialized knowledge that will be applied to contributing to existing technical information. Use integration protocols and methodologies to ensure that SMC’s integration design protocols do not become obsolete, given the rapid technological advances in the field. Utilize sound knowledge of CAD methods and hands-on experience in all synthesizer related fields (CAD, PCB, detail circuits, relevant programming). Perform circuit and component analysis and simulations using industry ADS, HFSS and other CAD tools. Identify and establish performance standards and verify and validate designs through simulations, tests and reliability studies. Master’s Degree in Electrical Engineering plus two years of engineering experience. 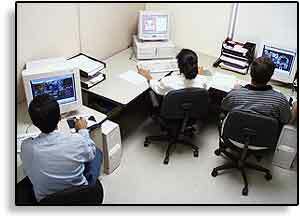 Require expertise in using Software: LabVIEW, TestStand, XML, XPath, Version One, ClearCase, ClearQuest. Must have proof of legal authority to work in the United States. If you are interested and qualified for this position, you can send us a copy of your resume via e-mail, mail or fax. Resumes sent through E-mail must be in MS Word or PDF format. Design various complex Radio Frequency (RF) and microwave circuits, systems and subsystems using design tools like Sonnet in order to keep up with the ever-competitive RF market and advancement in technology. Devote significant portion of time in developing the necessary RF engineering system and testing and analyzing its system performance. Use Analog Devices’ ADIsimPLL tool to analyze the performance of the PLL and determine critical parameters like lock time and loop bandwidth and optimize the performance by using accurate loop parameters. Utilize integration protocols and various methodologies to ensure that Synergy Microwave Corporation’s existing integration technologies do not become obsolete, given the rapid technological advances in the field. Utilize CAD tools like Eagle and AutoCAD to design the PCB layouts of various RF circuits, coordinate with the Engineering team to make the Printed Circuit Board (PCB) ready for fabrication. Develop design schematics and layouts of RF printed circuit boards. Design and develop RF circuits, mixers, filters, power dividers, couplers, phase shifters. Perform circuit and component analysis and simulations using ADS, HFSS and other CAD tools. Formulate test sequences, procedures and methodologies for engineering prototypes and new products to carry out existing and new system testing. Design specifications and reviewed engineering documentation standards. 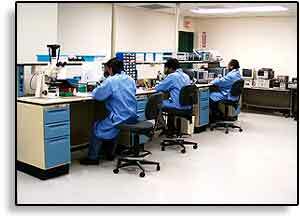 Work with team members in a lab environment to resolve technical problems in design. Evaluate changes and review their impact. Assist in firmware development efforts through system test and verification. 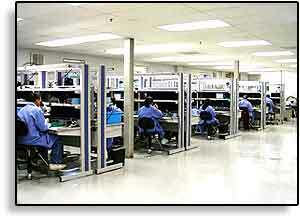 Analyze and troubleshot RF test equipment in a timely and accurate manner. Very exciting opportunity to join a strong engineering team dedicated to develop radio frequency products for the microwave communication, microwave instrumentation, radar, and defense applications. You will have extremely deep resources and guidance for modern radio product development using mixed signal and digital radio techniques. BS degree, and 10 years work experience. Please provide portfolio examples. Experience in radio frequency applications. Modulation algorithms, Signal detection, leveling, and control. Visual Basic, Visual C or C sharp. User interface tool development for both internal and customer application suites.